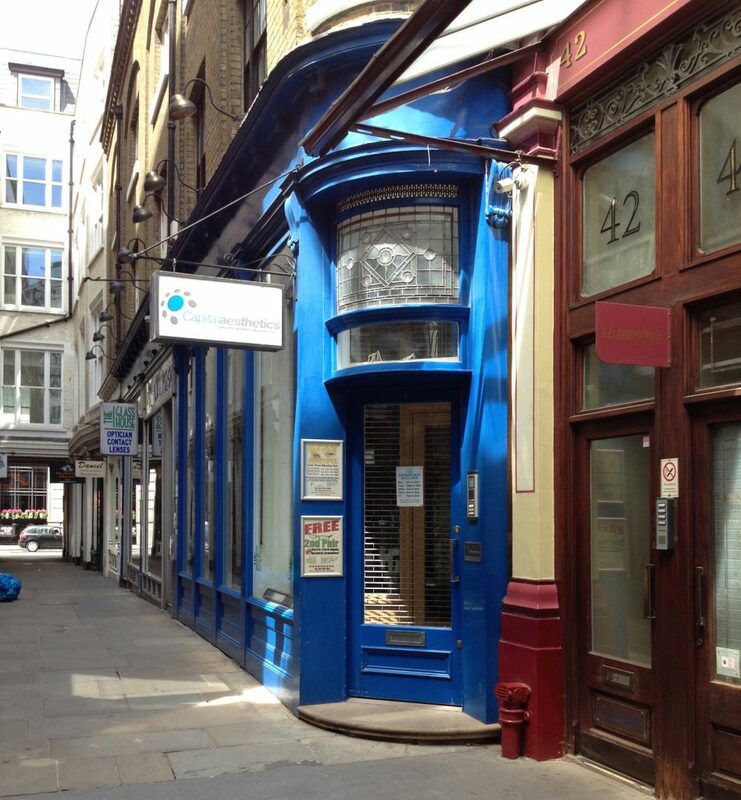 The London Migraine Clinic is within The Glass House Clinic, our sister business. The City of London is a warren of historic little passageways, but if you follow the instructions it is easy to find. Most people will arrive by Tube and it is then a 5 minute walk. Most people will come by tube but the mainline stations of Liverpool St, Fenchurch St, Cannon St and London Bridge are not far away. Bank Tube is about 400m or 5 minutes from us and has several exits. Come up from the platforms and look for Exit 6 (Lombard St) near the Northern Line lifts. Don’t take the other exits as they’ll take you in the wrong direction! From the Northern line and DLR the first exit after the lifts and barriers is Exit 6. From the Central line booking hall look for signs to the Northern Line + DLR and Exit 6. You can also take Exit 5 (Cornhill/Lombard St). Once youve got to street-level, walk 300m along the length of Lombard St till you get to the traffic lights on Gracechurch St.
Cross the road to M&S and Turn Left along Gracechurch St. Walk another 50m till you see Robert Dyas Ironmongers. At Robert Dyas Ironmongers turn right into Bulls Head Passage and The Glass House is 30m along on the left. Monument Tube is about 250m or 3 minutes away. Turn left out of the main exit and walk for 150m straight up Gracechurch St, past Fenchurch St until you reach M&S. Walk another 50m till you see Robert Dyas Ironmongers. At Robert Dyas Ironmongers turn right into Bulls Head Passage and The Glass House is 30m along on the left.